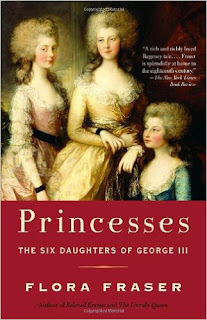 Fraser is the author of the 2006 book, Princesses: The Six Daughters of George III. One of England’s premier biographers of the late Georgian era, Fraser (Beloved Emma) first became acquainted with the princesses when doing archival research for her biography (Unruly Queen) of their sister-in-law, the Prince Regent’s wife, Princess Caroline. "Given other circumstances, the letters of these six royal sisters might have been filled only with Court gossip, pomp and fashion," Fraser writes. "Instead their correspondence makes harrowing reading, revealing the humility with which they met pain and horror, the tenacity with which they pursued their individual dreams, and the stratagems they devised to endure years of submission and indignity." The circumstances which catapulted their lives onto a sorrowful trajectory, of course, were the intermittent bouts of the king’s insanity which commenced a nine-year regency after he was declared incompetent to rule. The king himself said in 1805 — when the Princess Royal was 39 and the youngest princess, Amelia, 22 — "I cannot deny that I have never wished to see any of them marry: I am happy in their company, and do not in the least want a separation." When he spoke those words, "Royal," as the eldest sister was always called, was the only sister to have married. Her father had refused many offers for her hand, a fact that embittered her. She finally succeeded in marrying a widow, the Hereditary Prince of Wuttemberg, when she was thirty. She was thrilled to escape "The Nunnery," a title the princesses themselves dubbed their residences at Kew Palace and Windsor Castle. She never regretted the decision to marry. While she never bore a live child, she was an indulgent mother and grandmother to her step-children and may have been the happiest of the sisters. Her sister, Princess Augusta (1768-1840), also fell in love with a military man, Gen. Sir Brent Spencer. When she was 43 she wrote a letter to the regent that begged to be allowed to marry the man who had shared her "mutual affection" for twelve years. Request refused, she died a spinster. 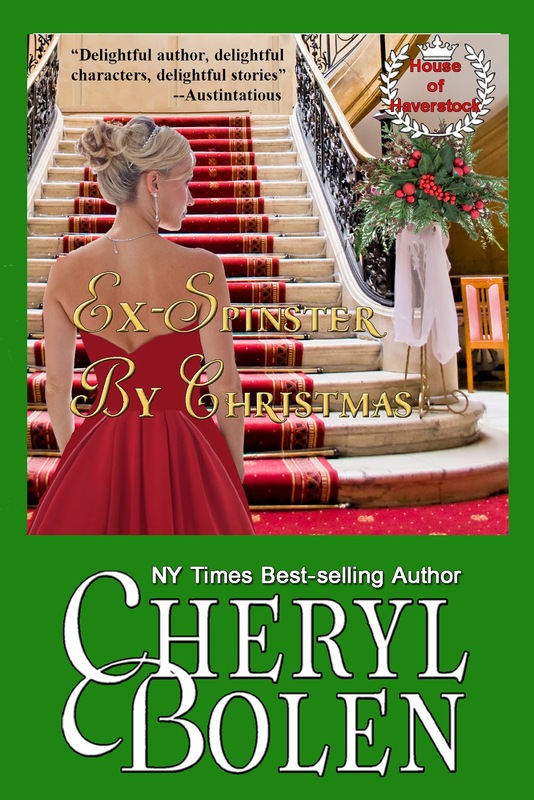 For the historian, this work is a gem.—Cheryl Bolen’s Christmas novella, ExSpinster by Christmas, releases on Nov. 15. I share these with you partly to set the record straight about some common misconceptions, and partly just to celebrate the unique and remarkable era we know and love as the Regency. Chocolate — Chocolate was a bitter, hot drink like coffee, not the decadent dessert we know today. It was considered very decadent and only the finest chefs knew how to prepare it. Therefore, only the very rich drank it. Ankles — It was not scandalous for ladies to show their ankles. In fact, several drawings and engravings of the era show ladies with skirts barely reaching their ankles. Since their dancing slippers were similar to today’s ballerina flats, the ankles were clearly visible. As shoe styles changed from slippers into boots of the Victorian Era, it also became a sign of modesty to keep one’s ankles covered. Hence, showing ankles was scandalous during the Victorian Era, but not the Regency Era. 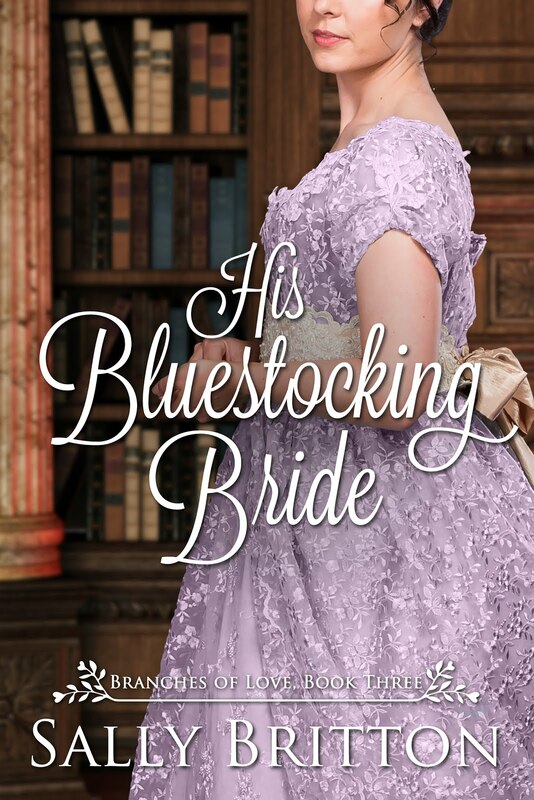 Unmentionables — Ladies did not wear anything under their gowns except a shift or a chemise, stays which are similar to a corset but less restrictive, and stockings. Layers of petticoats would have messed up the slender silhouette of the Regency gowns. During very cold weather, ladies may have worn petticoats to stay warm however, it was not a common practice. And no, ladies did not wear pantaloons or pantalets either–those appeared during the next era along with all the layers of petticoats. Annulments — Marriages in Regency England could not be annulled by non-consummation. Period. Stale Bread — Due to the Napoleonic War and subsequent blockages, wheat was hard to come by. This meant that bread, a main staple in the Englishman’s diet, became scarce. In an attempt to prevent a massive shortage, Parliament passed the Stale Bread Act. This outlawed the sale and/or consumption of fresh bread, and only allow stale bread, or bread baked more than 24 hours ago, to be sold. Apparently stale bread filled bellies faster than fresh bread. Penalties for offense were severe, but as you can imagine, it was very hard to enforce. The government repealed it about a year later but the shortage persisted until after the war ended. I hope you like some of the fun facts I shared with you today. 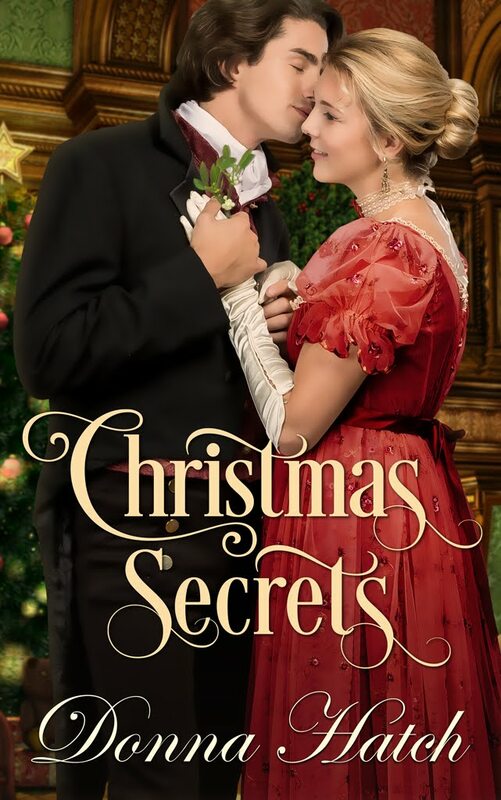 My goal is always to provide carefully researched novels, rich in detail, with swoon-worthy heroes falling in love with heroines who are their match. My latest book, Courting the Countess, is about two such people. Courting the Countess is available now on all online retailers including Amazon and The Wild Rose Press in both ebook and paperback. Historical Accuracy–How Important is it? In England, dueling was part of a long-standing code of honor, far beyond mere tradition. Gentlemen took their dueling very seriously; they would rather die than be dishonored. Does your heart go pitter patter just at the sound of that? I admit, at time, mine does. How many man that honorable do you know? Okay, maybe we'd call it misplaced pride, or an overdeveloped sense of vengeance, but hey, that was a different world with a different set of rules. And yeah, I'm glad they don't do it these days. If during a duel fought by swords, one of the duelers becomes too injured to continue, occasionally the second would step in and duel. Sometimes, the seconds were hot-headed or very angry (loyal?) and ended up dueling each other as well. To my knowledge, this never happened is the duel were fought with pistols. And, maybe it’s me, but there a certain romance about a gentleman brave enough and protective enough to be willing to risk death defending my honor from another man who’d besmirched it. 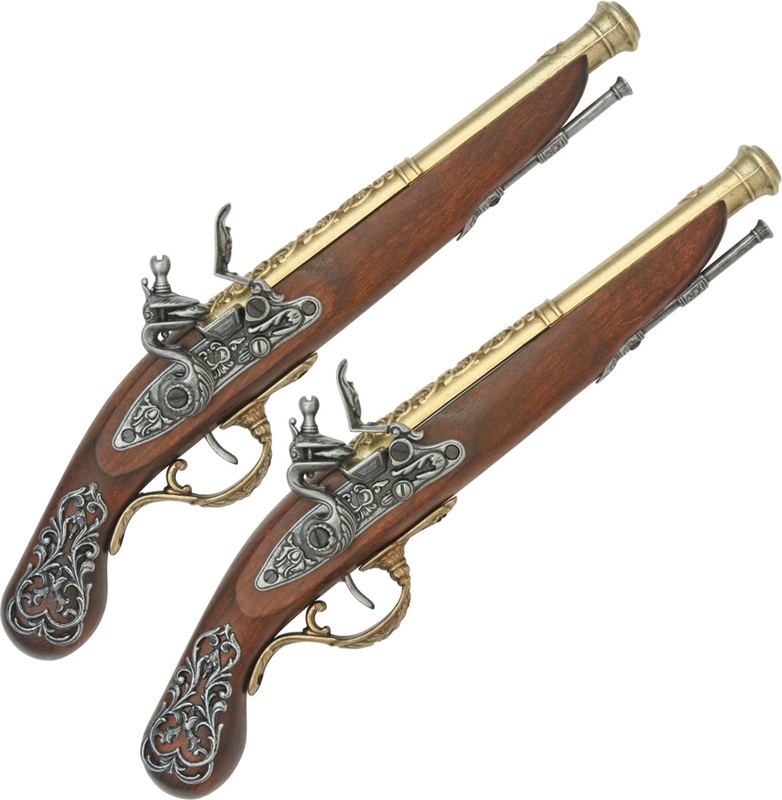 A duel largely part of what leads to all the trouble for my hero in my Regency Romance novel, "Courting the Countess" and causes events he wishes desperately he could change, especially when the duel goes awry and causes pain to an entire family. My neweset Regency Romance, Courting the Countess is available now. Order now on Amazon for Kindle.